\nIt seems there is nothing but bad news with the Mac lately. A total change from just a few years ago when everything was rosy with Christine coming back. \nYou will be missed Danny. Glad you got your Rock N roll hall of fame induction. You were such a key member in the early years. RIP Danny. You will always hold a special place in the hearts of those who loved the early Fleetwood Mac. \r\nI think a listen through a few of Danny\'s songs might be in order tomorrow. Very sad. Danny might be the most underrated and overlooked member of the band. He was a prodigy and had so much talent. I know it\'s inevitable but seeing members of my favorite band pass away is heartbreaking. Bob Brunning, Bob Weston, Bob Welch and now Danny. And Billy has been having health issues the past few years. Only just heard this. What sad news. What a fine guitarist. Thanks for everything Danny. Late to this one, well, i heard the news whilst away on holiday abroad. Returned home to England today. Woke up early Saturday morning and swore out loud at the news on my phone. So sad to hear. \r\nSadly too sensitive for the music business of that time, like many others. A huge talent. Its rubbish news to hear he has passed. \r\nR.I.P. Danny. So much respect for you and your talent. Good to see the love out there for your work, just wished you realised what you wrote/played has touched so many. So much talent and so young, no one could forsee the pressures when he joined the band. They were too onerous even for Peter who was only in his early 20s. Awful responsibility for someone so young, it\'s a pity that the joy he gave others could not help his self worth. RIP Danny. I\'m very sad. Really sad with the news. Danny was one of my favourite members of the early years, and his work in Bare Trees, my favourite album of that era, will be always well remembered. \r\nOf course that in Second Chapter he left the FM roots and made more "pop" music, but with a very fine quality. Has anyone seen any further info on what happened to him? I know that he battled alcoholism, but none of the articles I\'ve read, even the few that offer more details about him, his situation and his legacy, have given a cause of death or anything about the circumstances. I haven\'t posted here for many years but thought this might be something to add here. \nDanny died in his sleep from complications of pneumonia. He had been battling it from earlier this year but couldn\'t beat it unfortunately. He was cremated and his ashes returned to his family. \nHe was only 68 although many of those later years were quite hard and Danny did battle with alcohol as has been documented. He spent a number of those later years in and out of hostels in the Soho district of London, ironically very close to Denmark Street and the heart of London\'s music history where the band played many early gigs. \nI have my views on Danny and the way he was treated by the band before he was thrown out but this isn\'t the time or place for that. \nLet me just say he was a magical talent and in many ways he and Peter Green were two parts of the same jigsaw. Their playing was magical and Danny was a very gifted songwriter and singer as well as a guitarist. Tragic he went the way that he did. Hopefully he will be at peace now. \r\nDanny died in his sleep from complications of pneumonia. He had been battling it from earlier this year but couldn\'t beat it unfortunately. He was cremated and his ashes returned to his family. \r\nHe was only 68 although many of those later years were quite hard and Danny did battle with alcohol as has been documented. He spent a number of those later years in and out of hostels in the Soho district of London, ironically very close to Denmark Street and the heart of London\'s music history where the band played many early gigs. \r\nI have my views on Danny and the way he was treated by the band before he was thrown out but this isn\'t the time or place for that. \r\nLet me just say he was a magical talent and in many ways he and Peter Green were two parts of the same jigsaw. Their playing was magical and Danny was a very gifted songwriter and singer as well as a guitarist. Tragic he went the way that he did. Hopefully he will be at peace now. \r\nMany thanks for the update. Good to hear he still had some family contacts (whether he was actually in contact with them or not) and its reassuring to know he passed away in his sleep. Cheers. Thanks for letting us know. I regularly play songs penned by Peter Green and Danny Kirwan, and feel I owe them a lot. It was a very sad moment when I got to know about Danny, may he rest in peace. I\'ve been wondering what took him. Thanks for the information. Poor Danny. RIP. \nWoman of 1000 Years always takes me to a beautiful place. It\'s one of my favorite Fleetwood Mac songs. Just a superb piece of music and recording. \r\nAlthough he was only 18 when he joined Fleetwood Mac in 1968, Danny Kirwan, who has died aged 68, rapidly became a significant creative force within the group in their early years. It was the guitarist Peter Green who achieved enduring “guitar hero” status with the band, but Kirwan was also a fluent and accomplished player with a delicate touch, his playing particularly recognisable for its use of vibrato. \r\nHe was also a prolific songwriter whose compositions would help to move Fleetwood Mac away from their strictly blues roots towards the more melodic soft-rock that turned them into one of the world’s most successful acts. \r\nKirwan had been in the group for two months when he made his first recording with them, playing on their Green-composed single Albatross, a lilting instrumental assembled from contrasting guitar parts. It was an auspicious beginning, since this would be the band’s only UK No 1 hit. His first album with them, Then Play On (1969), contained seven of his songs, including the string-accompanied ballad When You Say among more conventionally bluesy material. \r\nHe had more writing credits on Kiln House (1970) – the group’s first album after the departure of Green – including the bouncy rocker Tell Me All the Things You Do, and he wrote the single Dragonfly (1970), with lyrics from a poem by WH Davies. Green considered Dragonfly to be the best song Kirwan ever wrote. \r\nFuture Games (1971) included the Kirwan-penned opening track Woman of 1000 Years, a piece of dreamy California-style psychedelia, and his proto-country rock effort Sometimes. Bare Trees (1972), the last Mac album Kirwan appeared on, featured five more of his songs, including the almost Eagles-like Child of Mine and the poignant soft-rock of Dust (the latter taking its lyrics from Rupert Brooke’s poem of the same name). \r\nKirwan can thus be seen as the missing link between the original Fleetwood Mac, planted squarely in the British blues boom, and the band’s megastar LA-based incarnation featuring Stevie Nicks and Lindsey Buckingham , when it would sell 40m copies of its 1977 album Rumours. \r\nBut Kirwan was unable to cash in on the band’s subsequent commercial bonanza. He had always been emotionally fragile, and Green recounted that Kirwan would often be in tears while he was playing. The strain of touring and performing drove him to drink and drugs, and he often neglected food altogether. He finally quit during a US tour in 1972, when he flew into a rage in the dressing room before one of the shows, smashed his Les Paul guitar and refused to take the stage with the rest of the band. Afterwards Mick Fleetwood told Kirwan he was out of the band. \r\nKirwan was born in Brixton, south London, though obscurity surrounds his upbringing. At 17 he was playing in a three-piece band called Boilerhouse, and after he persuaded Fleetwood Mac’s producer Mike Vernon to come and see them, Vernon recommended them to Green, who invited Boilerhouse to be the support band at Fleetwood Mac shows. Green had not been happy with his co-guitarist Jeremy Spencer and was looking for another guitar player, so Kirwan was invited aboard, joining the lineup in August 1968. \r\n“I was lucky to have played for the band at all,” Kirwan told the Independent in a rare interview in 1993, after he had stepped out of the limelight. “I did it for about four years, to about 1972, but I couldn’t handle the lifestyle and the women and the travelling.” At this time he had been living in a St Mungo’s homeless hostel in central London, but had been tracked down by Fleetwood, who had last seen him in 1980. \r\nAfter leaving Fleetwood Mac, Kirwan had put in a blink-and-you-missed-it stint with a band called Hungry Fighter, who played one solitary gig and made no recordings. He made three solo albums on the DJM label in the 1970s, Second Chapter (1975), Midnight in San Juan (1976) and Hello There Big Boy! (1979), but though the music was often melodic and attractive, Kirwan’s absence from live performance and lack of public visibility meant that the discs sold miserably and failed to chart. \r\nHe subsequently drifted away from music altogether, spending 10 years living rough and in a basement flat in Brixton, surviving on social security and royalty payments from his Fleetwood Mac work. In 1998, he was inducted into the Rock and Roll Hall of Fame with Fleetwood Mac, but did not attend the ceremony. \r\nHe is survived by a son, Dominic, from his marriage to Clare Morris, which ended in divorce. \r\nWhen Danny Kirwan joined Fleetwood Mac in 1968 his arrival created a three-pronged guitar attack that turned the group into one of the biggest-selling bands in Britain. \r\nHis unique vibrato style helped the instrumental Albatross to No 1, and further chart-topping hits featuring his distinctive guitar work followed with Man Of The World and Oh Well. Yet by 1972 Kirwan and both his fellow guitarists had gone, all three of them succumbing to psychotic breakdowns in what came to be known as “the curse of Fleetwood Mac”. \r\nThe first of them, Peter Green, quit in 1970, giving away his guitars and his money after a schizophrenic attack brought on by hallucinogenic drugs. Jeremy Spencer disappeared the next year, walking out of the band’s hotel, saying he was going to buy a magazine. He never returned and was later found to have joined a religious cult. \r\nYet Kirwan’s meltdown was in many ways the most dramatic of all. Sensitive and mentally fragile, he struggled to deal with fame and responsibility, went days on end without eating and developed a crippling stage fright, which in turn drove him to alcoholism. \r\nHis career as a rock star came to a shattering halt one night in 1972 on tour in America. Back stage while the band were tuning up before going on, something snapped and he hurled his Les Paul guitar at a dressing-room mirror, showering broken glass over his bandmates. Smashing his fists and head against the wall until they were bleeding, he refused to take the stage and instead spent the gig heckling from the audience as the band struggled on without him. He was sacked and never played with Fleetwood Mac again. \r\nHe made a doomed attempt to launch a solo career, but by 1980 Kirwan had disappeared, lost in an alcoholic haze. He briefly reappeared on the radar in 1993, when Mick Fleetwood employed the Missing Persons Bureau to trace him. He was found living in a London hostel for the homeless and had reportedly spent several years sleeping on park benches. \r\nHe then disappeared again for another quarter of a century, until his death was reported on Fleetwood Mac’s website. The “curse of Fleetwood Mac” claimed further victims when Bob Welch (obituary, June 9, 2012), the guitarist who had replaced Spencer, committed suicide. \r\nDaniel David Kirwan was born in 1950 in Brixton, south London. Like so much of his life, his childhood is a mystery, although a line in one of his songs, Child of Mine, in which he sang, “I won’t leave you, no not like my father did,” was believed to be autobiographical. A self-taught guitarist, he was playing in an amateur blues trio called Boilerhouse by the age of 17. \r\nAfter Fleetwood Mac’s producer Mike Vernon heard them rehearsing in a south London basement, he recommended them to Green, who offered to manage the group and arranged for them to support Fleetwood Mac at venues such as the Marquee Club in Soho, London. \r\nWhen Kirwan’s bandmates expressed a reluctance to give up their day jobs and turn professional, Green placed an ad in Melody Maker to find a new drummer and bass player. More than 300 applied, but none of those auditioned was deemed to be up to the mark and so Kirwan was invited by Mick Fleetwood to join Fleetwood Mac by default. 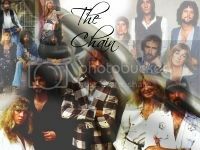 \r\nAngel-faced with his long blond hair and a sad, faraway look in his eyes, Kirwan made his first appearance with the band at the Nag’s Head in Battersea, south London, in 1968. According to Green, he was so moved by the music that he cried on stage as he was playing. \r\nDespite his extreme youth, Kirwan’s contribution to the group was substantial, particularly after Green’s departure, when he reluctantly stepped up as the band’s main songwriter. On albums such as Future Games and Bare Trees, Kirwan’s songs took Fleetwood Mac away from the group’s blues roots and towards a more melodic, soft-rock style. Several of his compositions adapted lyrics by his favourite poets, including Rupert Brooke. \r\nAs the group’s albums stopped charting and they struggled to maintain a stable line-up, fans often refer to the period as the “wilderness years”, before the arrival of Lindsey Buckingham and Stevie Nicks a few years later turned Fleetwood Mac into one of the biggest-selling bands. It would, perhaps, be fairer to see it as an era of transition, with Kirwan as the bridge. \r\nSomewhere along the way in the early 1970s he acquired a wife and a son, but soon lost them again and nobody in the Fleetwood Mac camp knows what became of them. Living on social security and “dribs and drabs” of royalties from his songs, he claimed to have spent years travelling with all of his possessions in a rucksack, perhaps inspired by The Autobiography of a Super-Tramp by WH Davies, one of his favourite writers and whose poetry he set to music in his song Dragonfly. \r\nHe was one of eight past and present members of Fleetwood Mac inducted into the Rock & Roll Hall of Fame in 1998, but did not attend the ceremony. Ever a man of mystery, nobody knew how to contact him. Even the Missing Persons Bureau could not track him down for the event. \r\nHe played his heart out. His story heartbreaking. I imagine his son would have heard about his death. Thank you for posting this Michele. \r\nDanny Kirwan, a guitarist, singer and songwriter for Fleetwood Mac whose work fueled the band’s rise during its early years, died on Friday in London. He was 68. \r\nHis former wife, Clare Morris, said he died in his sleep after contracting pneumonia earlier this year and never fully recovering from it. Fleetwood Mac also announced his death in a Facebook post. \r\nMr. Kirwan was only a teenager when he joined Fleetwood Mac in 1968, but his talent was apparent to the band, which at the time consisted of the guitarists Peter Green and Jeremy Spencer, the bassist John McVie and the drummer Mick Fleetwood. \r\nAs a guitarist, he was known for his vibrato. \r\nWhile Fleetwood Mac — whose lineup in those years also included the singer, songwriter and keyboardist Christine McVie, who joined the band in 1970 — evolved without him, Mr. Kirwan set out alone. He released a few solo albums, but they failed to make waves and he faded almost entirely from public view. \r\nWhen Mr. Kirwan was inducted into the Rock & Roll Hall of Fame in 1998, along with seven other past and present members of Fleetwood Mac, he did not attend the ceremony. \r\nDaniel David Kirwan was born in South London on May 13, 1950. As a teenager he was the frontman for a band called Boilerhouse, which was playing in a Brixton pub when he was discovered by Mr. Green and Mr. Fleetwood, according to online biographies. \r\nHe and Ms. Clare had a son, Dominic, who survives him. Mr. Kirwan had led a quiet life in London since retiring from the music industry, Ms. Clare said. \r\nHe had surfaced briefly in 1993 when, in an interview with the British newspaper The Independent, he said he had been homeless. \r\nI hadn\'t realized they couldn\'t locate him to tell him about the Rock\'n\'Roll Hall of Fame Induction. I just thought he chose not to attend. So much for the Missing Persons Bureau... he wasn\'t kidnapped or actively hiding and they still couldn\'t find him! It\'s been a few weeks and I\'m still really not over this loss. In the back of my mind, I was always hoping he would emerge again, modestly of course, for an interview and/or a meet up with Mick. \nI was hoping we\'d have at least one final statement from him for posterity. \nBut it wasn\'t to be, and as much as I longed for an interview, I was also impressed that he, more than any other member of the band, avoided all media scrutiny and preserved his privacy to the very end. That is its own accomplishment. \r\nDanny\'s 4 albums with Fleetwood Mac each represent a season. \r\nIt was also revealed the cycle was of 4 and it was complete. \nDanny\'s 4 albums with Fleetwood Mac each represent a season. \nIt was also revealed the cycle was of 4 and it was complete. the weirdest thing about this dream was it made me see the incident that got him fired in a whole new way. I\'m feeling he smashed his guitar and wouldn\'t go on stage because he couldn\'t handle it anymore and knew it was over intuitively. for those interested in it - the current edition of mojo magazine (#298, september 2018) features a 3-page obituary for danny. I had a quick look at the Mojo obit. There were some brief comments that may have been recent from Christine and Jeremy. Spencer was quoted as saying that he last saw Danny in 2002. That\'s sad to hear- sometimes I optimistically imagined Peter, Jeremy and Danny having had some ongoing friendship but I suppose life in general and Fleetwod Mac in particular doesn\'t work like that. \nChristine praised Tell me all the things you do, Woman of 1000 years and one other (memory fails- Sands of Time or Sometimes), I think). \nThe September 2018 edition of the British music magazine \'Mojo\', in a two-page tribute to Kirwan\'s life and music ("A Loner and a One-Off: Danny Kirwan 1950-2018"), said Jeremy Spencer had met Kirwan in London in 2002 with his ex-wife Clare and their son Dominic. Kirwan was living at the time in a care home in south London, "where he was well looked after and visited by family and friends until the end". \nMojo quoted Christine McVie as saying: "Danny Kirwan was the white English blues guy. Nobody else could play like him. He was a one-off.... Danny and Peter (Green) gelled so well together. Danny had a very precise, piercing vibrato - a unique sound.... He was a perfectionist.... Listen to \'Woman of 1000 Years\', \'Sands of Time\', \'Tell Me All the Things You Do\' - they\'re killer songs. He was a fantastic musician and a fantastic writer." She also commented: "Danny was a troubled man and a difficult person to get to know. He was a loner." Jeremy Spencer said "Danny brought inventiveness and melody to the band.... I was timid about stepping out with new ideas, but Danny was brimming with them." Mojo quoted Christine McVie as saying: "Danny Kirwan was the white English blues guy. Nobody else could play like him. He was a one-off.... Danny and Peter (Green) gelled so well together. Danny had a very precise, piercing vibrato - a unique sound.... He was a perfectionist.... Listen to \'Woman of 1000 Years\', \'Sands of Time\', \'Tell Me All the Things You Do\' - they\'re killer songs. He was a fantastic musician and a fantastic writer." She also commented: "Danny was a troubled man and a difficult person to get to know. He was a loner." Jeremy Spencer said "Danny brought inventiveness and melody to the band.... I was timid about stepping out with new ideas, but Danny was brimming with them." beautiful tributes from Christine and Jeremy. Wow. \r\n	"They love each other so much, they think they hate each other." \r\nImagine paying $1000 to hear "Don\'t Dream It\'s Over" instead of "Go Your Own Way"
\r\ni\'ve always been a huge danny kirwan fan. but in all fairness - to state he "was THE white english blues guy" is quite a bit over the top. i mean, what about peter green or duster bennett (just to name these two)? nevertheless i\'d certainly agree that he was "ONE of THE" white english blues guys. \r\nand it\'s definitely correct that "nobody else could play like him". just like peter he\'d developed a style of his own that was proof of his blues feeling and technical skills. and not to forget: he was a wonderful singer. Well Chris is entitled to her opinion I guess, especially since she was around all those guys. \r\nI actually found it rather touching that Jeremy and Danny got to meet up as recently as that. I doubt they jammed but it shows they were both back on earth in ways we didn\'t think possible back around 88/89. Included in the memorium of those that have passed since the last Grammys, several obscure A&R people and record executives were named and shown, but no Danny Kirwan, a stellar singer-writer-guitarist. Lame. Agreed. Going to play the \'69-\'72 series of albums as soon as possible and crank Jewel Eyed Judy as loud as I can. \r\nThe Stevie of a death strikes once. Maybe twice.